This modern and stylistic Countour canopy has smaller support brackets for minimal interference under the roofline but has additional stainless steel suspension rods to add to its strength and design aesthetic. 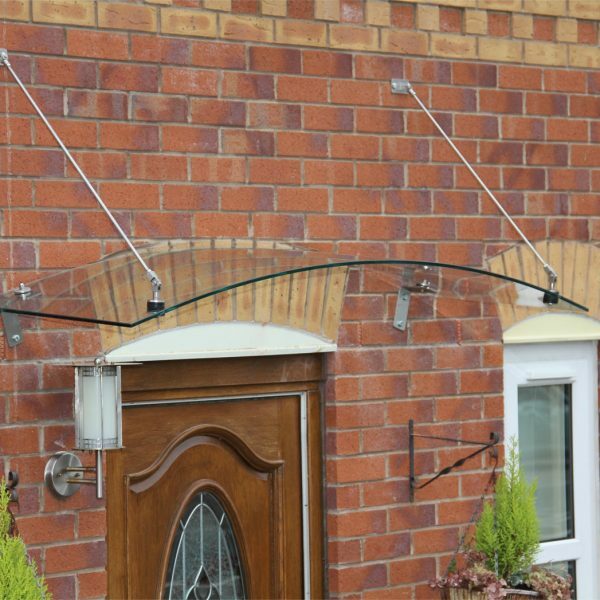 A perfect overdoor canopy for a contemporary home. 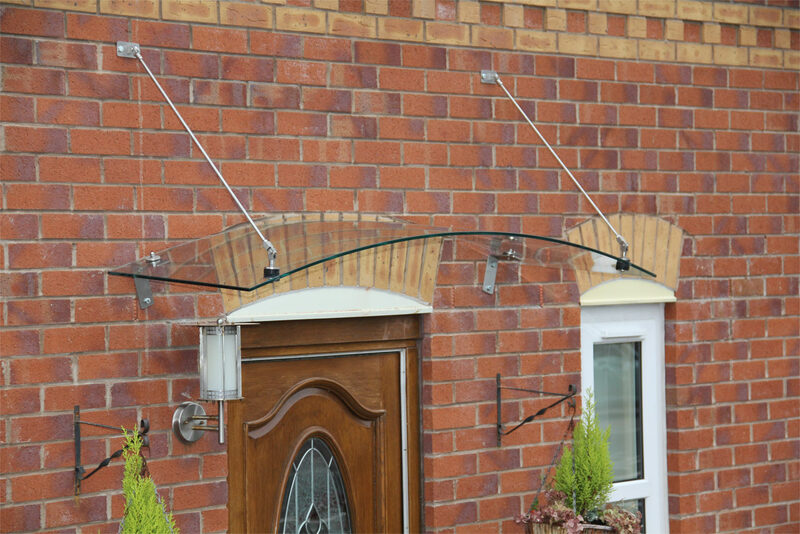 An elegant curved over door canopy with stainless steel support brackets beneath the roof and Stainless Steel tie rods above. 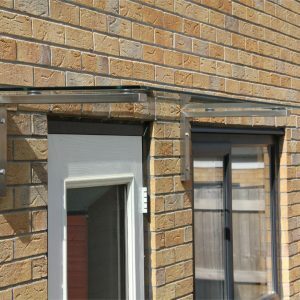 Glazed with 10mm toughened glass panel which is pre-curved and has polished edges. 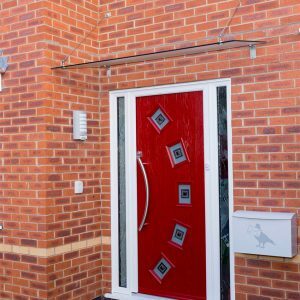 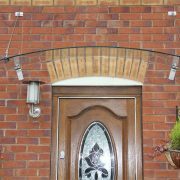 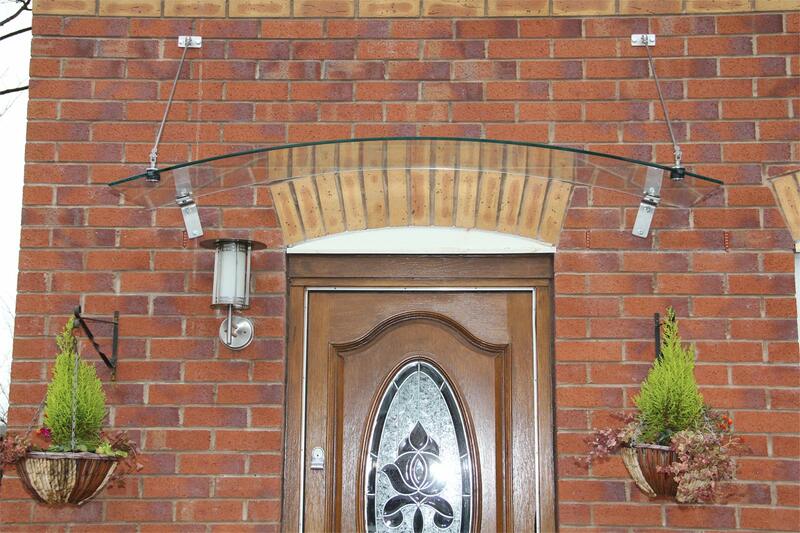 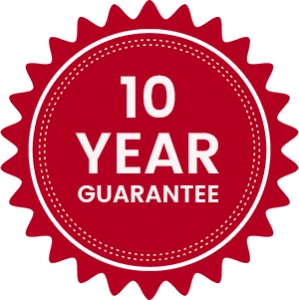 For more information on our Suspended Contour Over Door Canopy please call us on 01536 446393. 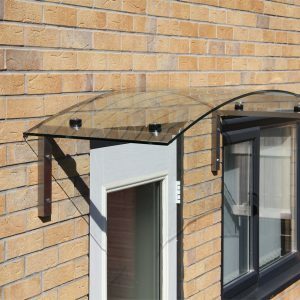 Click here to download our The Suspended Contour Overdoor Glass Canopy Sizes and Specifications.